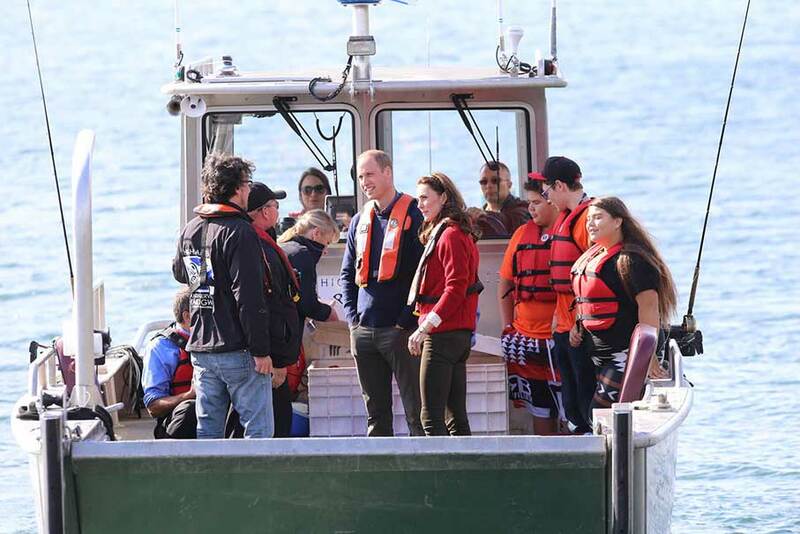 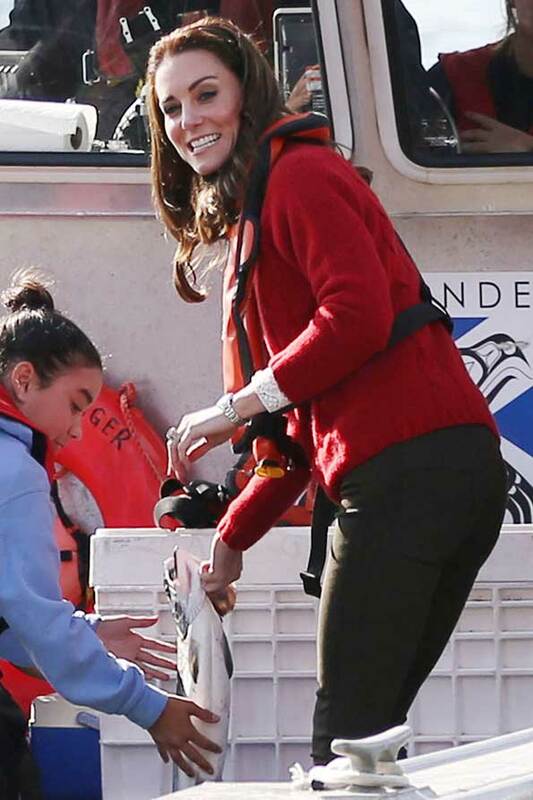 Kate Middleton looked like she had really found her sea legs with a huge smile on her face as she boarded the Highland Ranger fishing vessel with husband Prince William in Haida Gwaii, Canada. 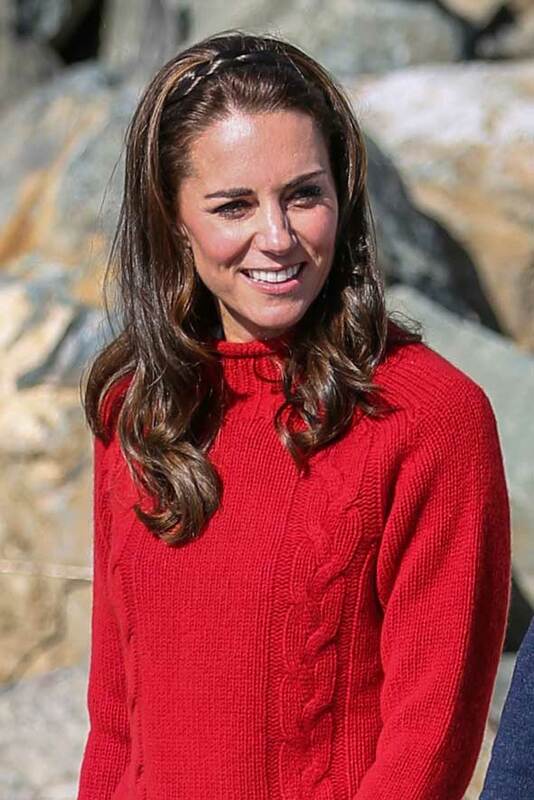 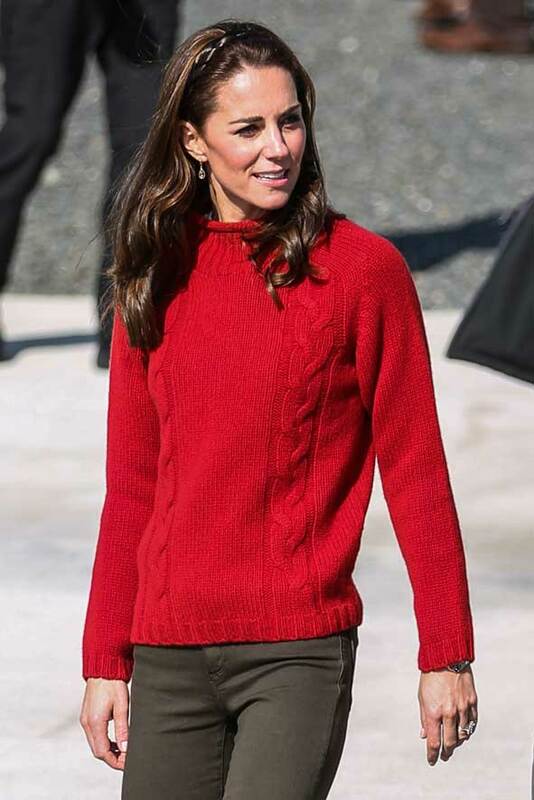 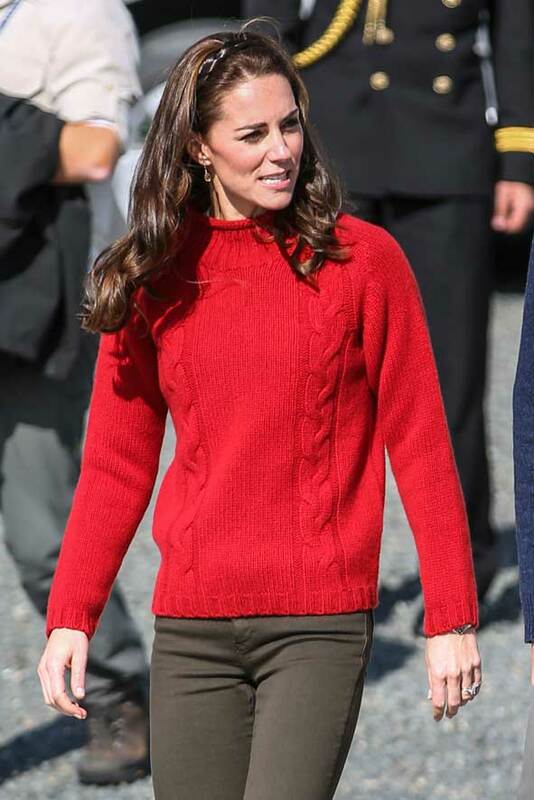 The Duchess of Cambridge was perfectly color coordinated after changing into a warm, red jumper, a patriotic cashmere mix crew neck jumper costing around £195 from Really Wild. 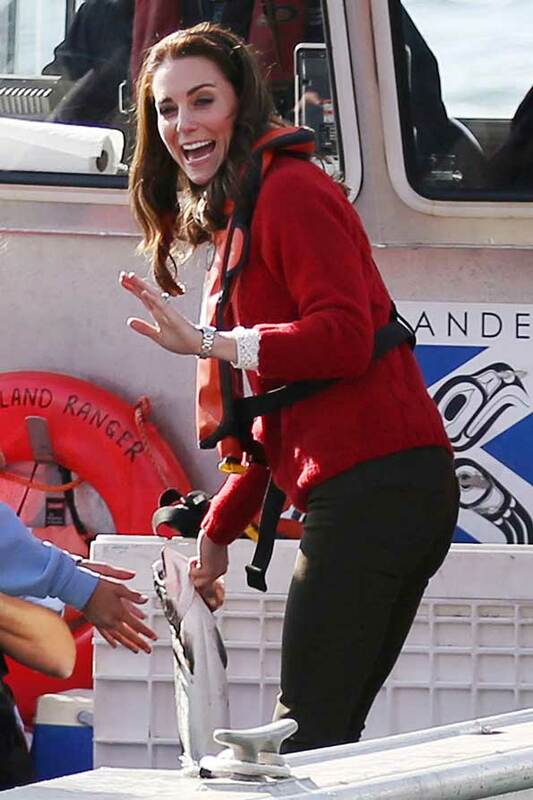 The Royal couple donned lifejackets and heading out on the Hecate Strait with one young recruit looking delighted to be in the presence of royalty watching Kate handle the huge fish. 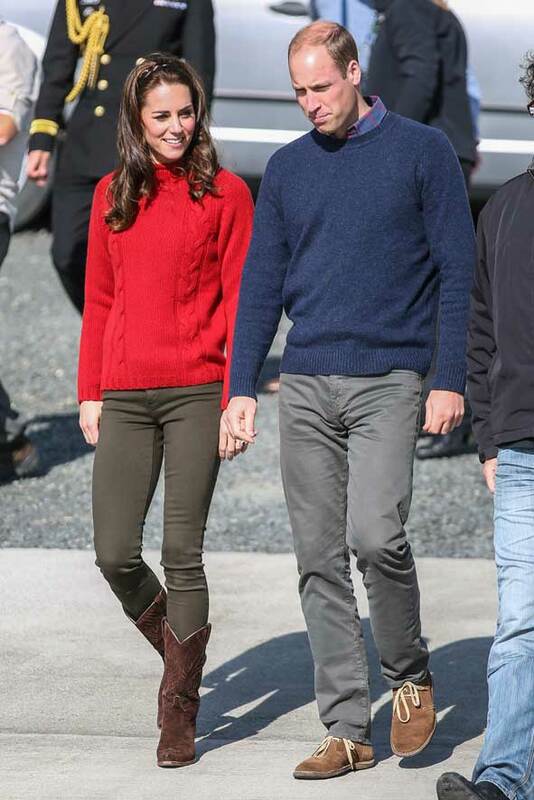 She matched the jumper with R.Soles Cowboy boots and Zara jeans. 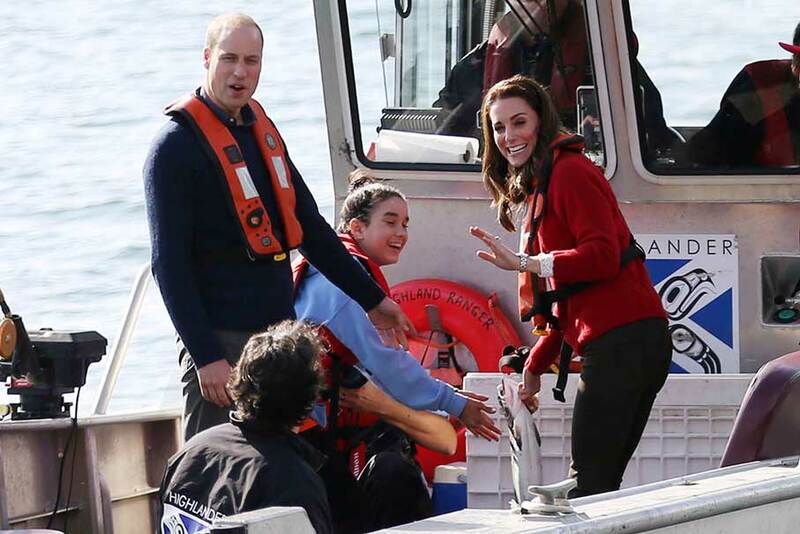 She had also been canoeing with Prince William. 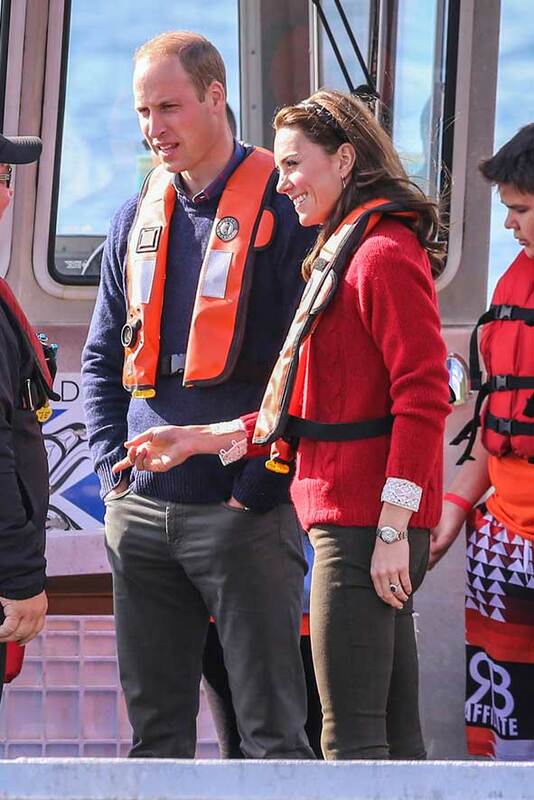 See the video of Will & Kate below on the boat as well as them paddling in a canoe! 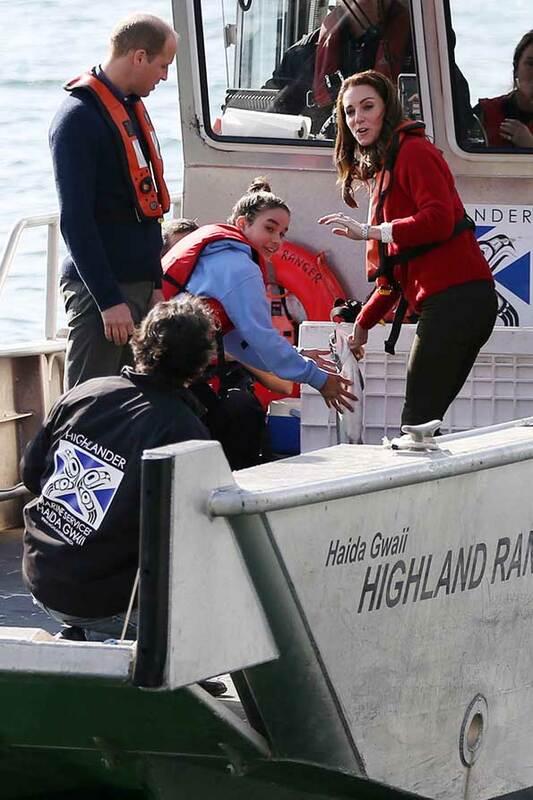 No, not at all because we were out with friends and things so I really didn’t expect it all. 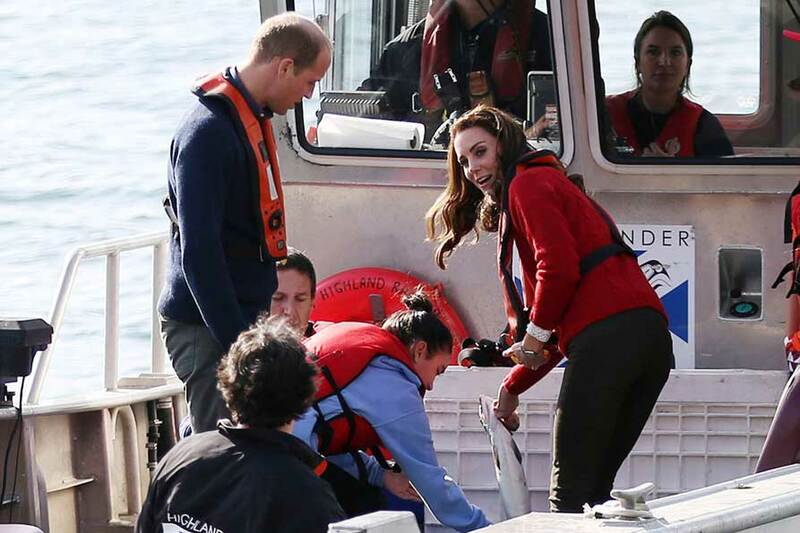 I thought he might have maybe thought about it, but no. 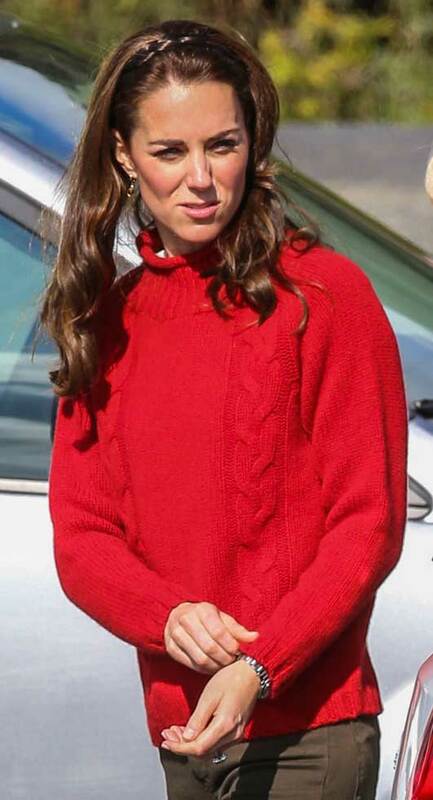 It was a total shock when it came, and very excited. 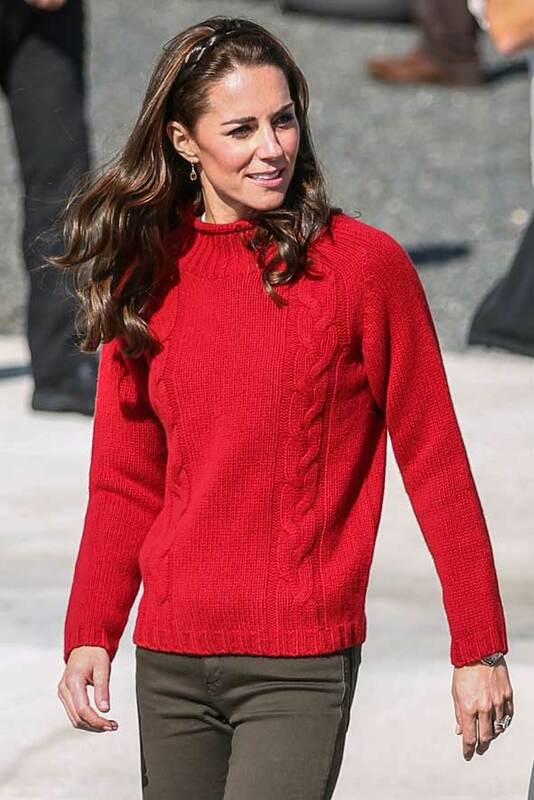 Kate Middleton Trivia: According to Wikipedia upon marriage, Catherine became known as Her Royal Highness The Duchess of Cambridge BUT a fuller version of her title and style is Her Royal Highness The Duchess of Cambridge, Countess of Strathearn and Lady Carrickfergus.